The Students 4 Students project team. A group of Douglas College students recently gathered boxes of school supplies and donated them to after-school programs at two elementary schools in the Tri-Cities. 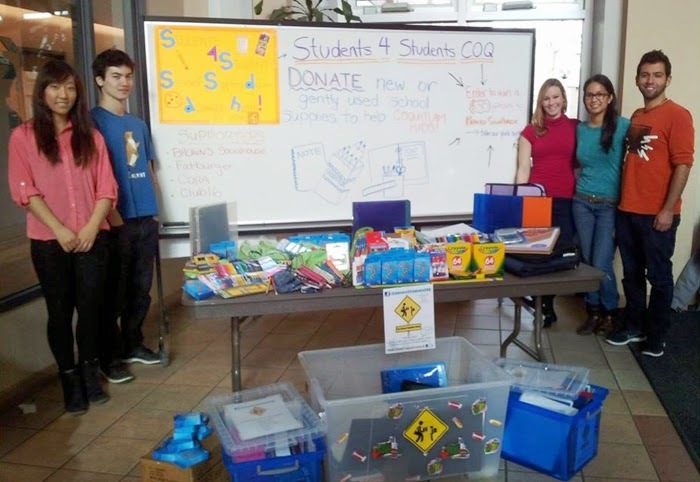 The Students 4 Students school supplies drive was organized by five Hospitality Management students as a course project. As part of the project, the students examined Early Development Instrument (EDI) data for the Coquitlam school district. The EDI is a research tool used to help gauge the challenges children face in their community. With support from local businesses and other donors, the team collected items including scissors, glue sticks, crayons, binders, paints and more. The project is also being entered in LinkBC’s Project Change contest, which is aimed at encouraging student leadership.